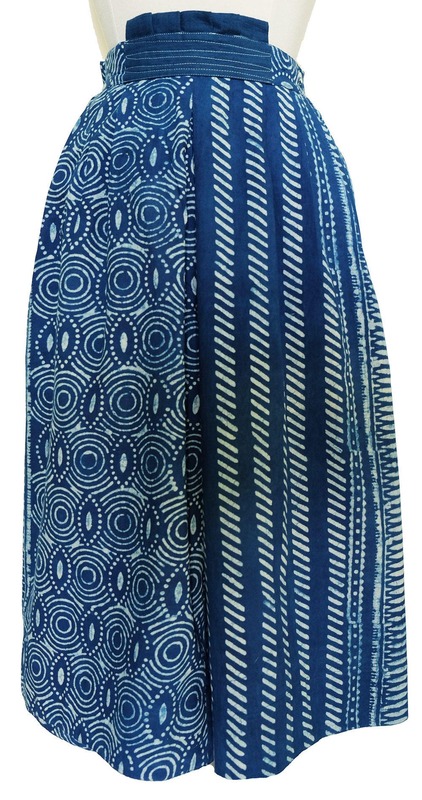 These fabulous fitted culottes, give you the movement of trousers with the look of a skirt. 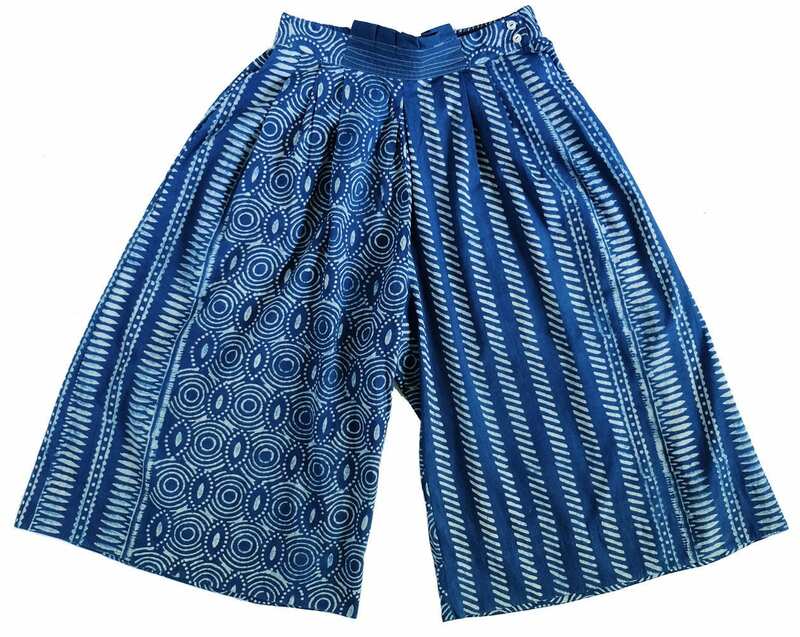 They have side pockets, slightly gathered at the back of the waistband, with pleating and embroidery detail at at the front of the waistband. 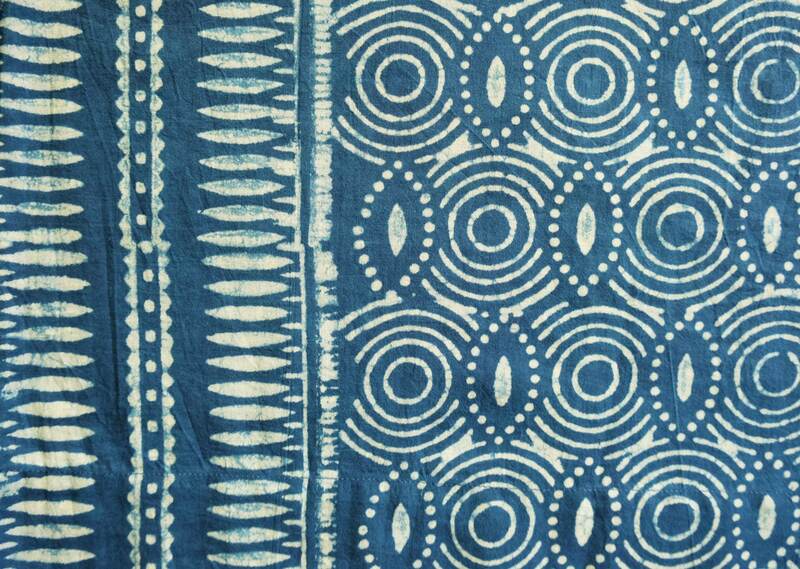 Made from 100% cotton, block printed fabric, that has been dyed in natural Indigo. Overall length 30".